Body cameras have been seen as an elegant solution to the complex problem of police brutality, but a new survey of 75 police departments across the US found that the policies governing them have, as a whole, failed to foster transparency, protect privacy, or defend civil rights. 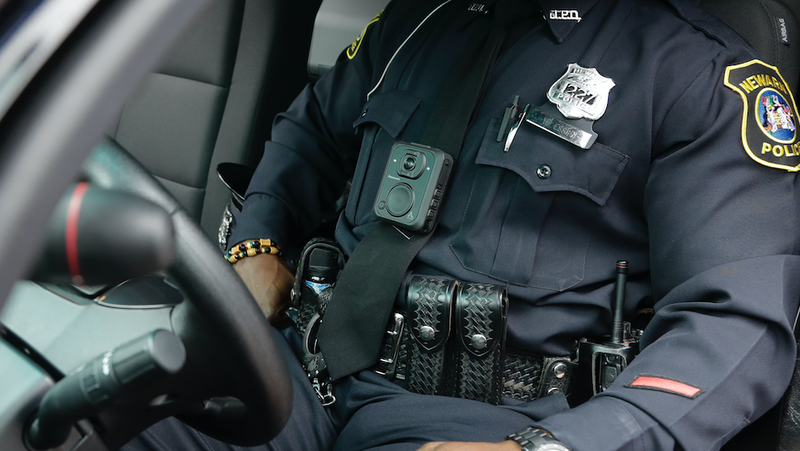 “Police Body Worn Cameras: A Policy Scorecard,” a yearly report released by Upturn and the Leadership Conference on Civil and Human Rights this week, found numerous key weaknesses in body cam policies across the country. Basing their findings on eight criteria (including “protects footage against tampering” and “addresses personal privacy concerns”), researchers discovered what they describe as a “nationwide failure to protect the civil rights and privacy of communities of color that are over-surveilled and over-policed.” 51 percent of the surveyed police departments made no changes to their body cam policies since last year and seven actually made them worse. The most widespread failure concerns protections against biometric technology. Only seven of the 75 departments specifically prohibit the use of facial recognition with body camera footage, a serious threat to privacy. Face recognition databases are drawn from passport photos and driver’s licenses, then cross referenced with criminal databases. If they become part of body camera technology, simply walking past an officer means being checked against a database, even if you’re not suspected of a crime. Just as troubling, six of the 75 police departments have policies specifically allowing citizens filing police misconduct complaints to review footage. As the purpose of body cameras is accountability and transparency, it’s alarming that departments aren’t moving to make it easier to access the footage. Amid an ongoing scandal on “faked” body camera footage, Baltimore City officials are pushing for restricted throughout the state of Maryland. Wisconsin has also moved to make footage more difficult to view. Finally, in a supplemental report titled “The Illusion of Accuracy,” Upturn executive director Harlan Yu details the importance of policies that explicitly prohibit officers from viewing their body camera footage before writing reports. 75 percent of surveyed departments allow officers to review footage before writing reports, even after use-of-force incidents. 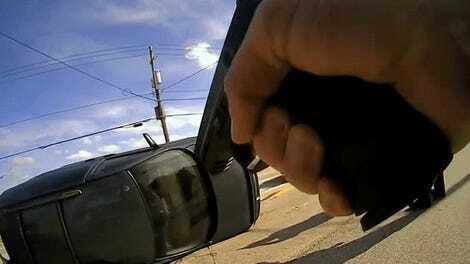 Body camera footage implies an intense struggle. Price, surveillance footage shows, surrendered immediately. Yu explained how inadequate policies give officers the opportunity to tailor their statements to their reports instead of giving independent summaries. Yu uses the example of the 2014 arrest of Derrick Price. Officers submitted footage that appeared to show Price resisting arrest, you can hear the officers shout “stop resisting!” Their reports told the same story. But surveillance footage showed that Price had surrendered, with his hands behind his back, face down on the pavement, before police captured him. He clearly wasn’t resisting, but the footage was tailored to the officers’ narrative. Four of the officers eventually pled guilty to violating Price’s civil rights. Yu uses Price’s arrest as an example of why we need “clean reporting.” Without surveillance footage, the body camera footage would’ve served as a psuedo-objective witness in favor of the police, in favor of office misconduct, when it had actually been manipulated to reflect the story the officers wanted to tell. The full scorecard breaks down the many failures in protecting civil liberties and constitutional rights across departments. No one department successfully fulfilled all of the researchers’ criteria, but the report does point to a scant few bright spots. Most interesting among them is the Baltimore Police Department, which they say has improved in four policy areas: personal privacy, officer discretion, face recognition limitations and public availability of its policy. Dozens of criminal cases were thrown out in Baltimore this year after body cam footage revealed officer misconduct, perhaps indicative of the cameras’ potential to catch wrongdoing. While body cameras can be powerful tools, they need robust, prosocial policies to actually uphold the ideals of transparency and accountability. Otherwise, they will only expand the reach of the already deeply unequal criminal justice system.